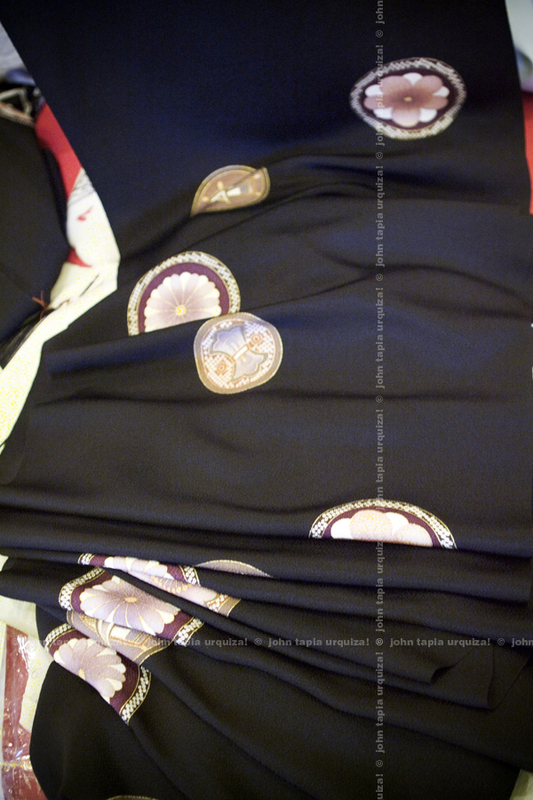 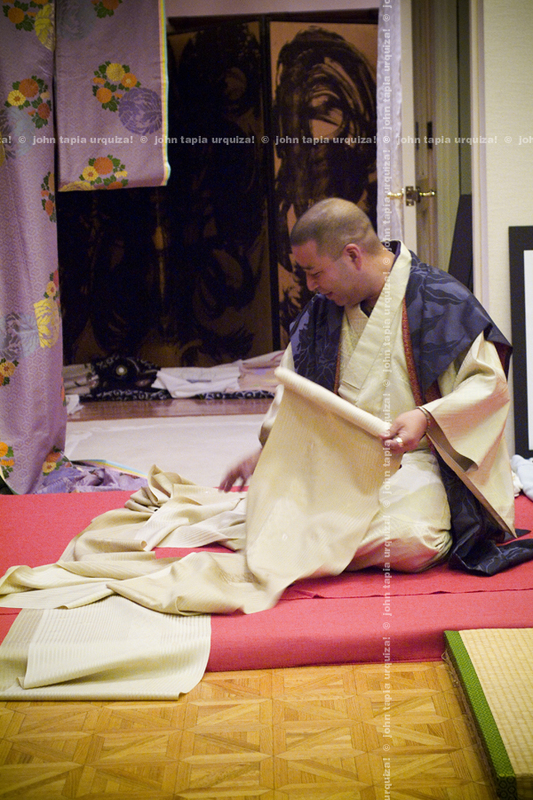 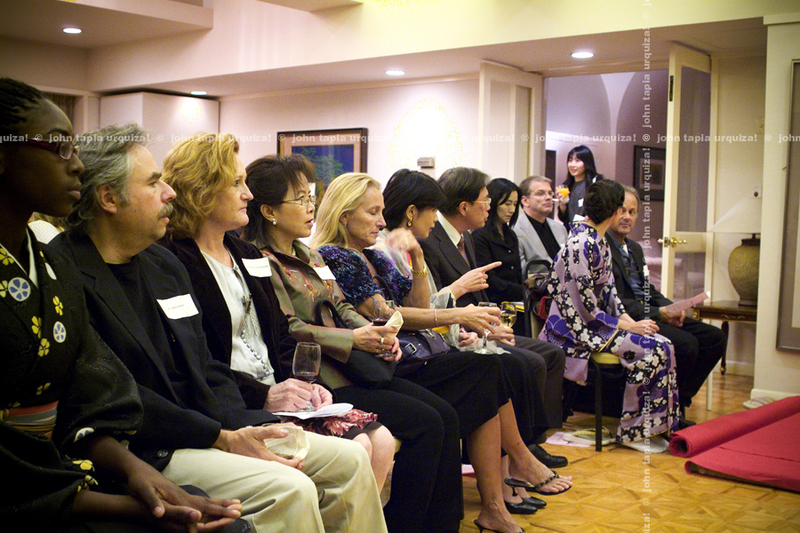 kimono designer and stylist nobuaki tomita presents at the official residence of the japanese consul general of japan. 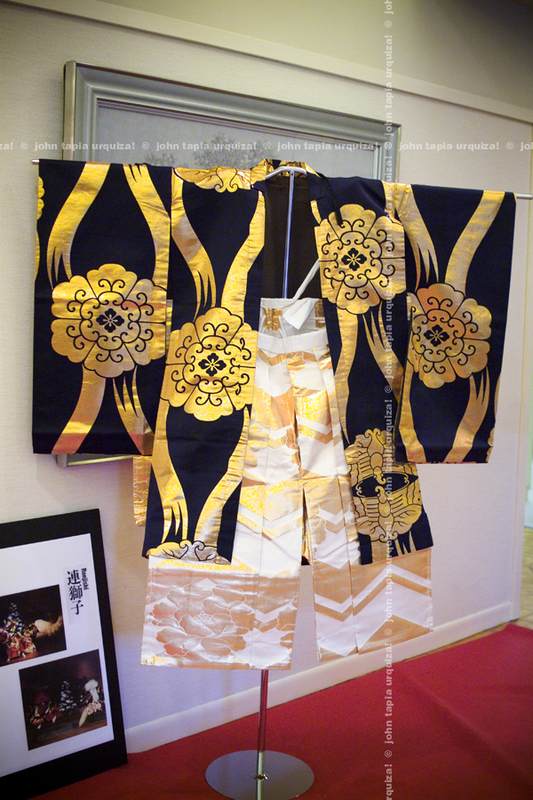 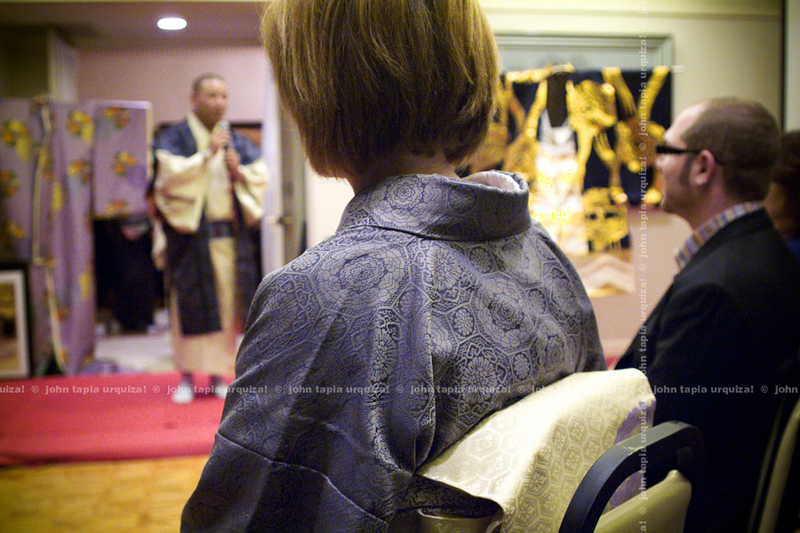 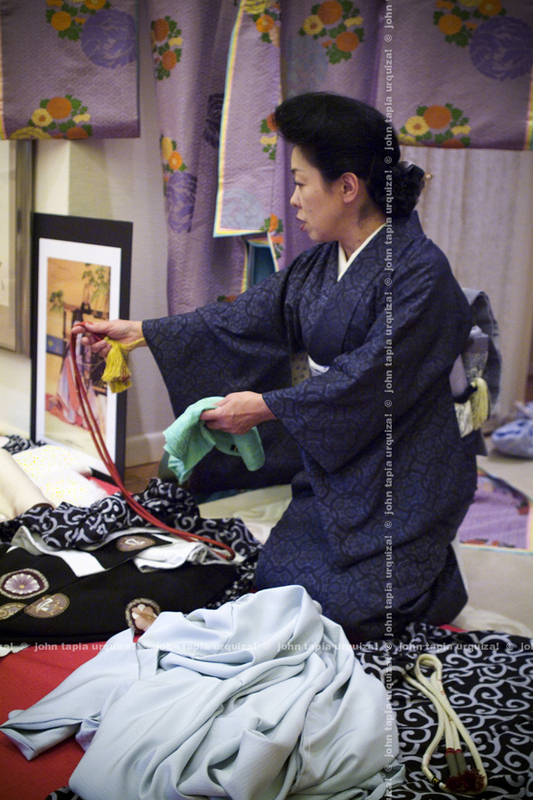 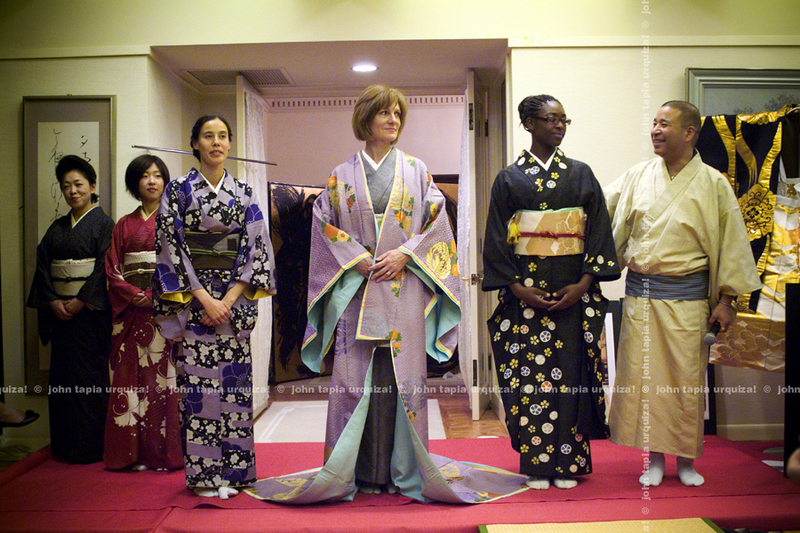 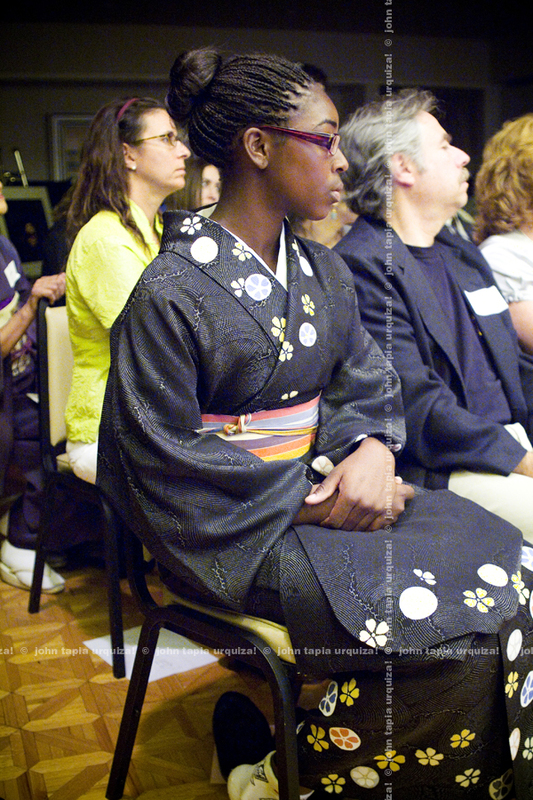 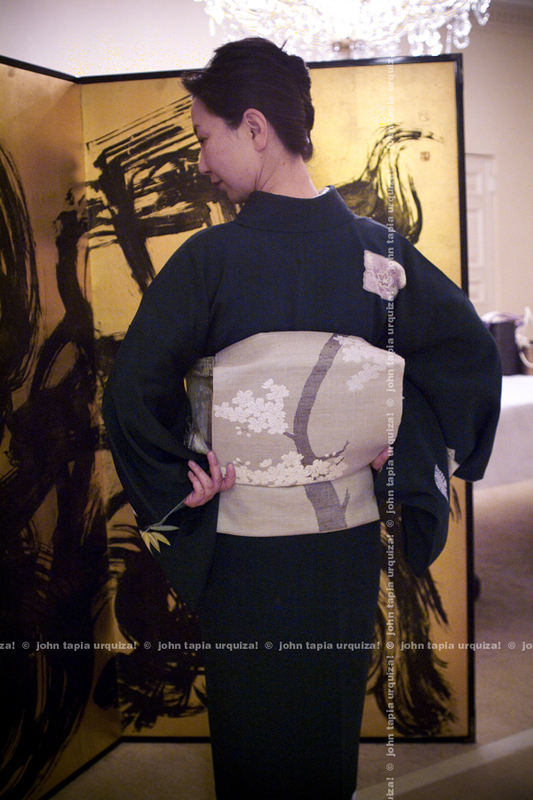 in some images midori makino models a ten thousand dollar kimono. 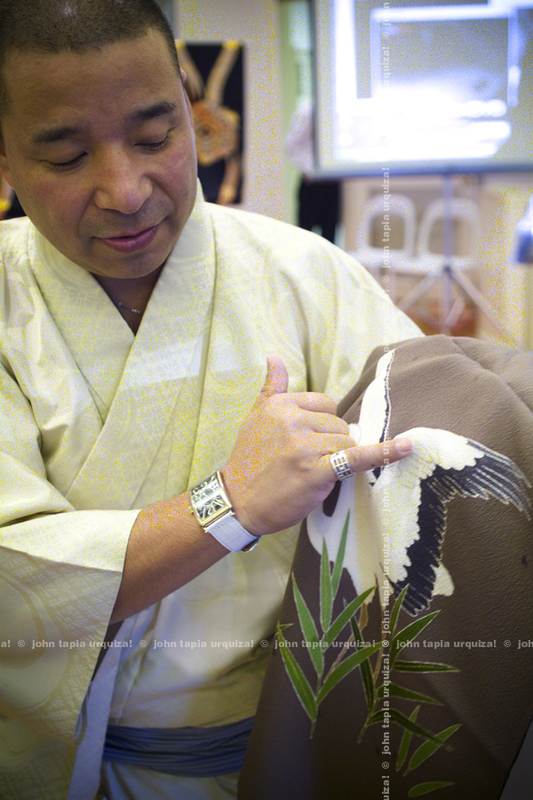 during the presentation tomita illustrates how kimonos are constructed from a single roll of textile and how the textiles are painstakingly designed from sketches to embroidered patterns which reveal an epic narrative much like an illuminated text. 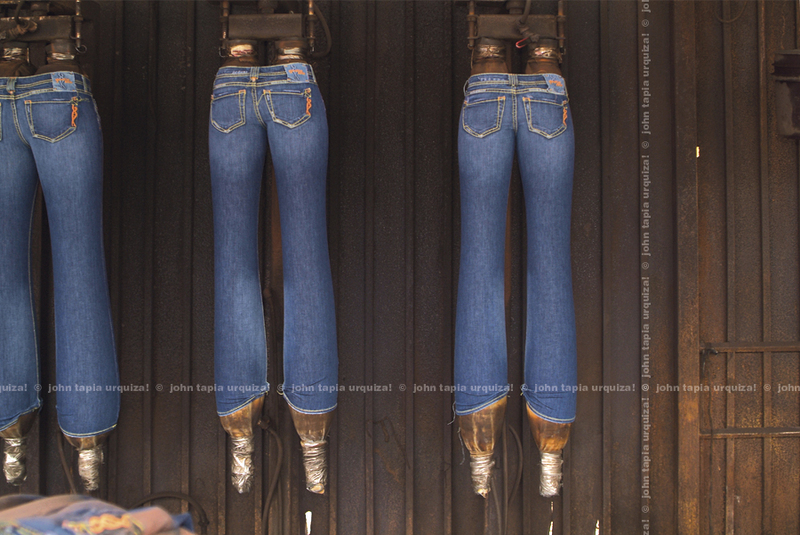 in the jeans is third component of a special issue about the jeans industry. 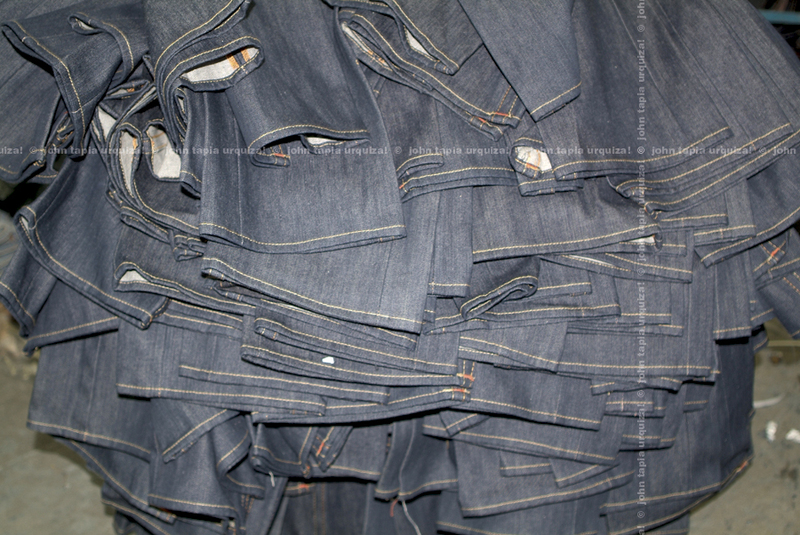 in this photo essay we visit a denim laundry that makes custom $200 jeans for high profile brands. 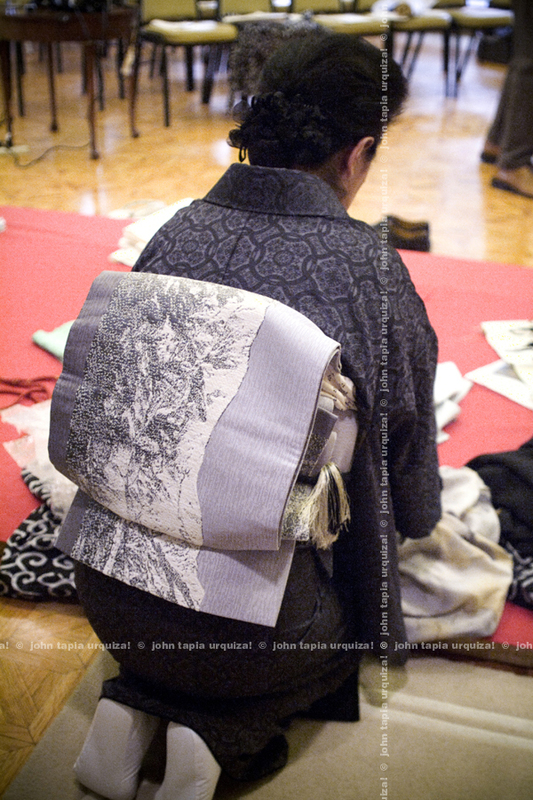 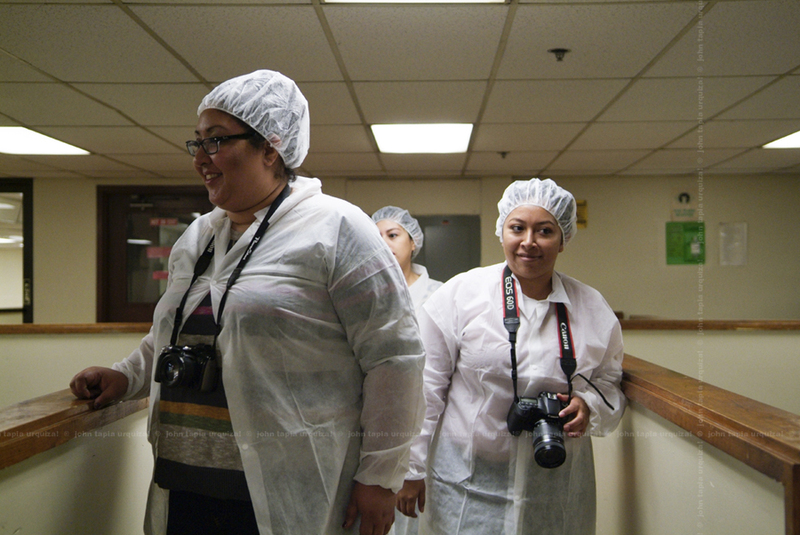 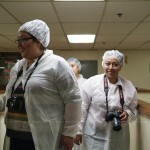 each step is hand manipulated and aided with chemicals and machines. 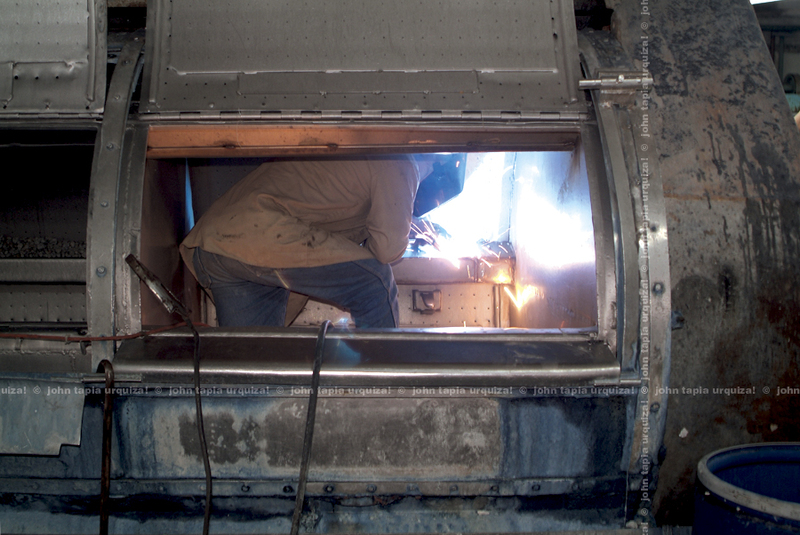 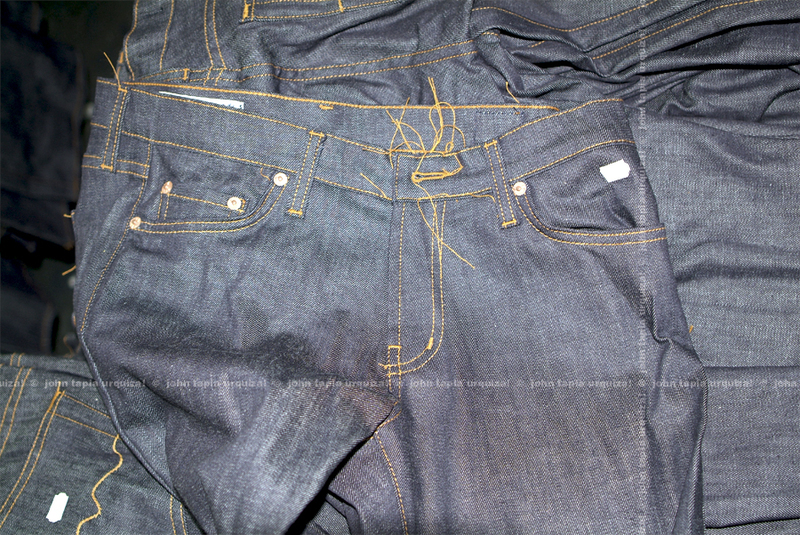 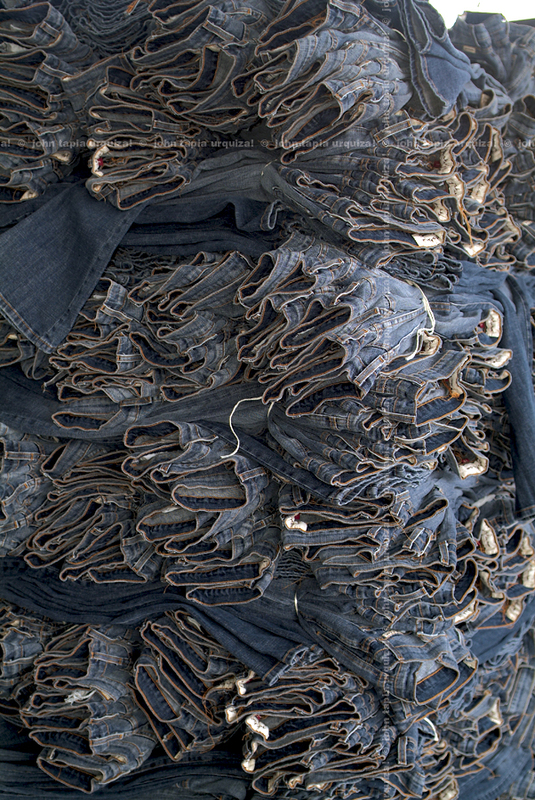 after being sprayed with potassium to appear faded with time, a template is overlaid on a blank jean where workers shred, burnish distress the denim. 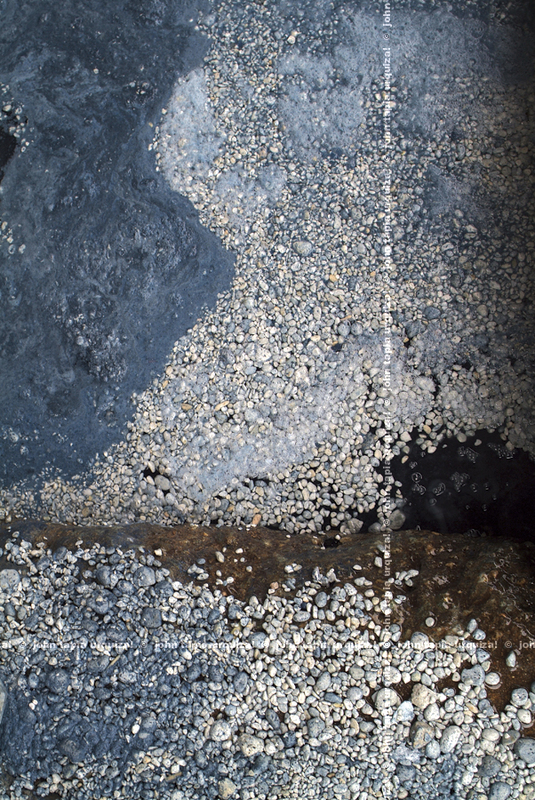 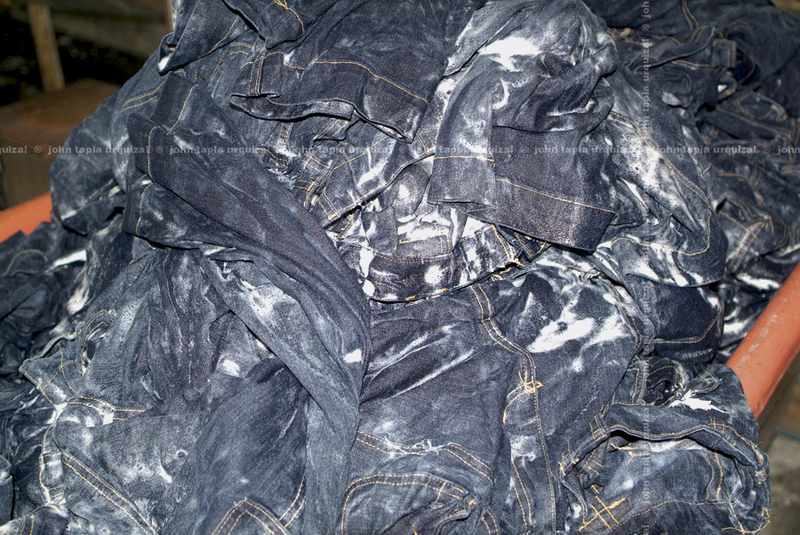 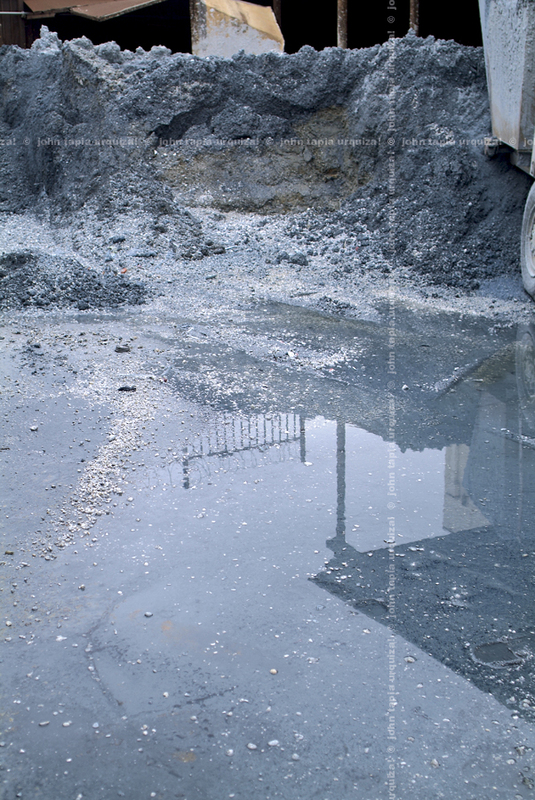 many jeans are washed with limestone while others washed in powder to create different effects. 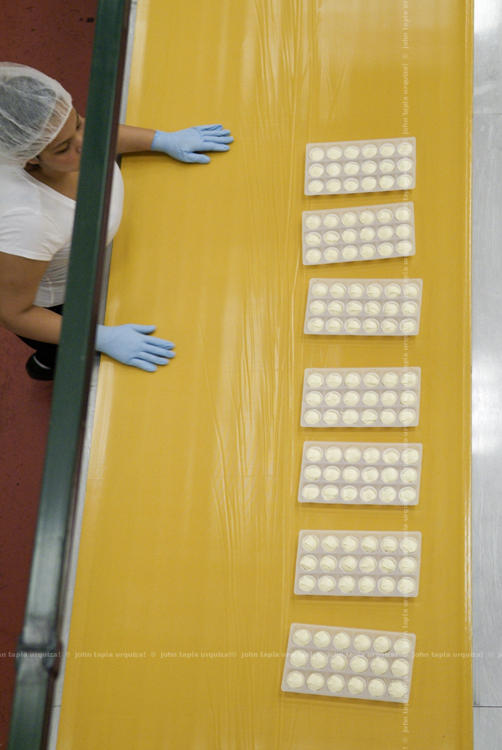 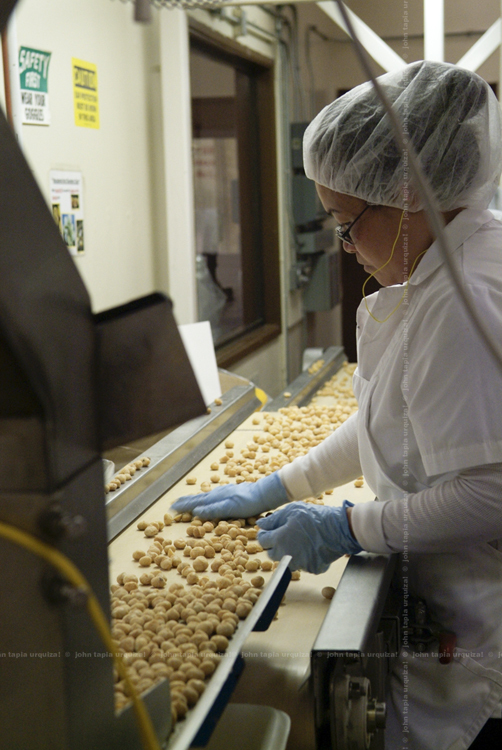 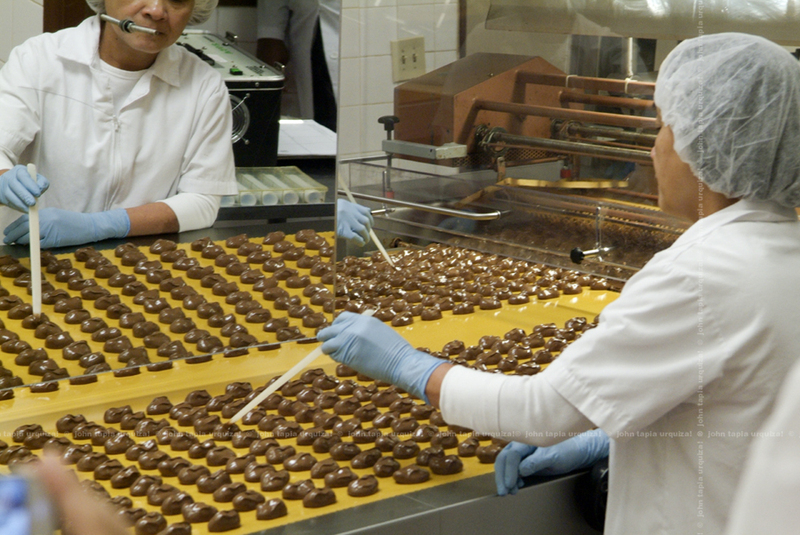 they are shipped back to the designer by the palette to be packaged for market. 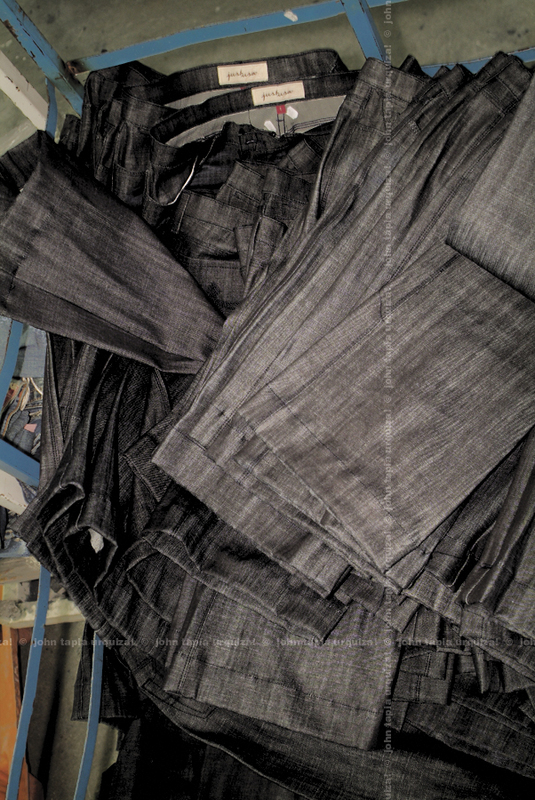 a byproduct of the laundry are piles of indigo stained stones.